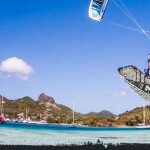 The kiteboarding is an easy sport but without the proper training can be dangerous for you and all the others around you! That’s why the lessons are required! Do not try to fly regular kite without prior experience and without someone experienced by your side. 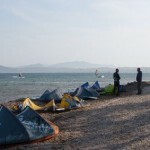 The first package of courses consists of 2 sessions (lasting 1.5 hours each) and includes basic principles of Kiteboard. Everythging you should know if you decid to deal with the sport and be safe. Weather conditions and criteria for selecting a safe location. Explanation of the flight kite and Window Wind. Explanation and the testing of the training kite! Flying of the training kite! Taking off and landing the regular kite. Testing the security systems in flight of the kite. 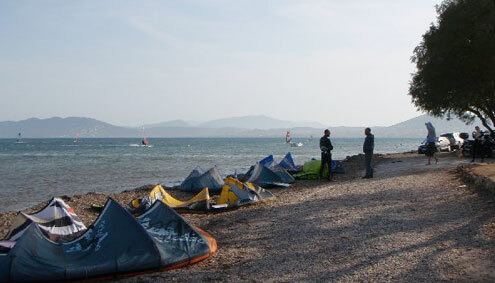 The second package includes 2 sessions (lasting 1.5 hours each), that aimed to the proper handling of the kite and the power output in the water. Flying the kite and power output. Taking off the kite from water. Testing the security systems at water. The third package includes 2 sessions (lasting 1.5 hours each), in the end they will have learned to handle the board and keeps it running. BodyDrag beat on track with the help of the hand. BodyDrag beat on track with the help of the board. Retrieving the board with BodyDrag.